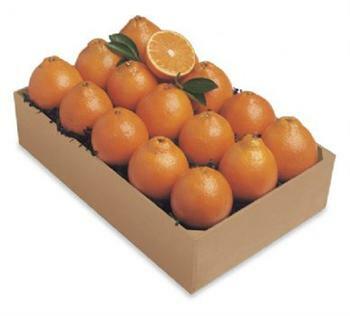 "Specializing in Vine Ripe Tomatoes all Year Round"
Kroegel produce ships only Indian River grown citrus. a rough outline of when fruit is in season, and for how long. to wherever you want in the continental United States. New Hampshire or Oregan there is an additional cost. New Hampshire= 1 tray add $3. 2 trays add $5. Mississippi= 1 tray add $2. 2 trays add $4. Pennsylvania= 1 tray add $3. 2 trays add $5. Washington= 1 tray add $3. 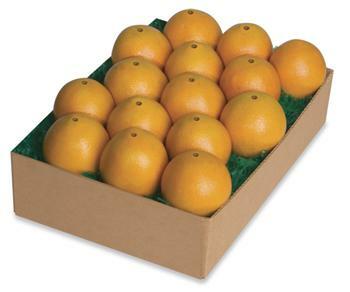 2 trays add $9. Tim Timinsky, a fifth generation Sebasitan native, has owned Kreogel Homestead Produce since 1987. The stand is the oldest produce stand in the area, going back more than 50 years in the same location. Tim believes that quality produce and a friendly staff are the key to the stand's success. 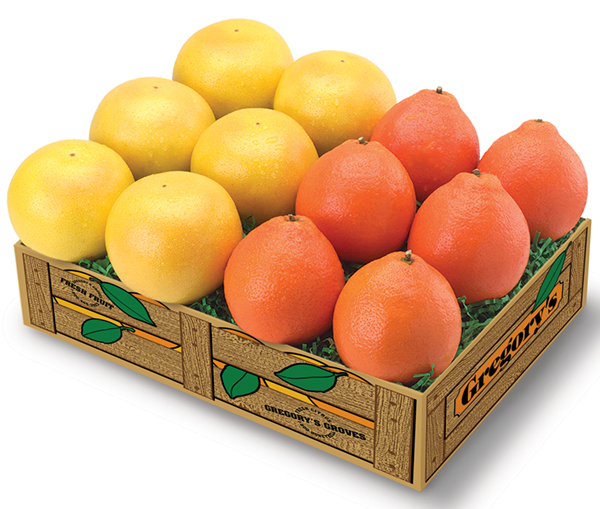 Kroegel not only carries the freshest, and best tasting products supplied by regional and national markets, but also frequently has locally grown, organic, and hydroponic produce, as well. The stand began in it's current location, with one man selling produce out of the back of his truck. This one man mobil produce stand became a fixture in Sebastian and grew in popularity over the years because of the quality of it's produce. Looking to retire, the founder, a man named Anderson, sold the stand to Tim in 1987., Tim has always been an, Old fashioned guy and prefers a life of simple pleasures, keeping his feet planted firmly in the soil that his ancestors tred. Tim love the fact that local growers bring their crops to Kroegle and enjoys helping keep the local econony alive. The Kroegel staff is like family and strives to keep the quality and consistency of the stand at it's highest possible standard. In a small bowl combine all dressing ingredients mixing well. In a serving bowl combine all salad ingredients. Pour dressing over salad and toss. In medium bowl, stir 1 Tbsp oil, 2 tsp lemon juice, honey and ground black pepper until mixed. Add carrots and alfalfa sprouts. Toss until mixed and evenly combined with dressing. In 2 quart saucepan, heat remaining 1 Tbsp. oil over medium heat. Add garlic, cumin and ground red pepper and cook until very fragrant. Stir in garbanzo beans and remove from heat. Add remaining 1 Tbsp. lemon juice and water. Mash to a coarse puree. Spread bean mixture onto 6 slices of bread. Top with tomato slices and watercress and sprout mixture. Cover with remaining bread. Peel and cut bananas into 1 inch slices. Spread slices onto cookie sheet and freeze for minimum of 2 hours. Remove from freezer and place slices into the bowl of food processor. Process, stopping occasionally to scrape sides, until bananas reach an ice cream-like consistency. Serve immediately for soft serve texture, or freeze for firmer texture. Boil tomatillo, onion and pepper of your choice. Strain into blender. Blend Strained Tomatillo with cilantro, lime, cumin, chili powder, minced garlic, white vinegar. Salt & Peper to taste Serve over warm corn tortilla and Blackened Shrimp. Delicious!!! 1. Preheat your oven to broil. Place red peppers on a piece of foil; place in oven close to the broiler. When the top has charred, turn the peppers so each side blackens. 2. In a pan, heat olive oil. Add onion, saute until it is sweating. Stir in the garlic; cook until fragrant. Stir in cumin, salt, and chipotle pepper. (*Chipotle will spice up your soup quickly, so add a little at a time as to not over-do it.) Stir well and cook for 1 minute. 3. Add broth and potatoes; cook on medium heat until firm but soft. 4. By this point your all sides of your peppers should be crispy. Place them in a paper bag for a few minutes. This will encourage the skins to peel off. After you peel them, chop the peppers. Add them to the soup. 5. Puree 3/4ths of the soup and cook for 5 more minutes to blend flavors. Adjust flavors if need be. 6. Stir in corn and vegan sour cream. The sour cream is optional but it has a nice way of offsetting the spice of the chipotle while maintaining the smokey flavor. Serve hot or cold with crusty bread! Put potatoes in a pot and cover with water. Cover pot, bring water to a boil. Lower the heat to a rolling boil and cook for 15 to 20 minutes, until potatoes are easily pierced with a fork. Drain and set aside to cool. Once potatoes have cooled, prepare the dressing. Split the avocado in half, remove the seed and scoop the yumminess into the food processor. Add the lime juice and salt and puree until smooth, scraping down the sides with a spatula as needed. Once smooth and creamy, add the tomato and onion. Pulse until they are incorporated but not completely blended. You should still be able to see the tomato and onion. Put the potatoes in a large mixing bowl, add the dressing and mix well. Taste for salt and spice. Wrap tightly and chill until ready to use. Top with scallions, if you like. Heat the oven to 425 degrees F. Spray a 17x11-inch roasting pan or shallow baking sheet with the cooking spray. Stir the potatoes, carrots, celery root, rutabaga, onions, parsnips, garlic, rosemary and oil in the prepared pan. Roast the vegetables for 30 minutes. Pour the broth over the vegetables and stir. Roast for 20 minutes more or until the vegetables are fork-tender. In a medium saucepan, combine the sugar and 1 1/2 cups of the water over moderately high heat; stir to dissolve the sugar. Just before the mixture comes to a boil, remove from the heat. Stir in the remaining 3 1/4 cups of cold water, then pour into a pitcher. Stir in the lemon and lime juices and refrigerate. Serve in tall glasses over ice, garnished with lemon and lime slices. In a large bowl, toss together the spinach and strawberries.In another bowl, whisk together the oil, vinegar, sugar, paprika, sesame seeds and poppy seeds. Pour over your salad and enjoy! In a bowl mix all the diced and chopped fruit with white and brown sugar. Put in refrigerator and chill at least 15 minutes. Preheat oven to 350 degrees. Coat one side of each flour tortilla with butter flavored cooking spray. Cut into wedges and arrange on a baking sheet. Sprinkle with desired amount of cinnamon sugar, spray again with cooking spray. Bake in preheated oven 8 - 10 minutes. Allow to cool about 15 minutes and then serve with chilled fruit mixture. Sign up below to have new specials sent to you as they become available - be the first to know what's the freshest! 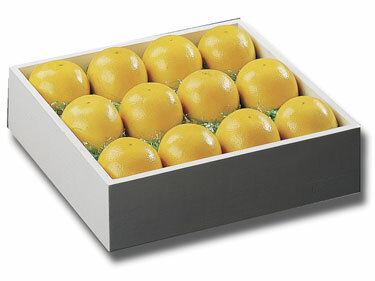 Also receive updates on availability of citrus for gift shipping and current pricing. Be sure to visit us if you're from out of town. Our "small town charm" is world renowned! Many thanks to all of our regular customers who shop with us year round. Don't forget to tell your friends about us. Send us your questions, comments, suggestions, or concerns.